Walking in Memphis-Marc Cohn. It has been my all-time favorite song for as long as I can remember and it makes me so happy whenever I hear it! This switches on a regular basis! 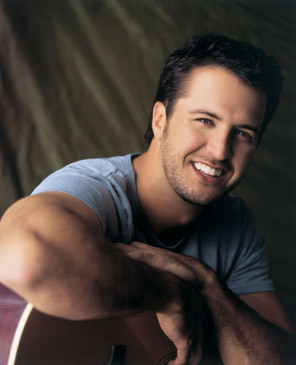 Right now I'm really into Luke Bryan. It used to be Rascal Flatts and I still love their old stuff, but I'm not as into their new stuff. I'm seeing them in concert this weekend though, so maybe they will change my mind! "Springsteen" by Eric Church. For some reason it's just one of those songs that stops me in my tracks. I could listen to it on repeat and never get sick of it. It brings me right back to my sweet high school summers! Also, "I still call Australia home." Tears. Every time. What is your favorite road trip music? COUNTRY. It's like drinking beer. Some things just have to be done while listening to country music and a road trip is one of them! Musical soundtracks are great too, you get involved in the story and the time flies. "What Makes You Beautiful. "-One Direction. Jail-bait. But so stinkin' cute. I agree completely on One Direction. I also love all of the country picks especially Walking in Memphis. I can't believe I forgot about that one. I thought I would be the only person to pick the One Direction song, but apparently not! Woohoo, I'm not alone!! Eric Church is definitely on my list of favorites right now! Stopping by from the link up! Haha ditto on One Direction. I always catch myself singing along to their song. I just heard Walking in Memphis this AM! It makes me want to go visit ASAP! Your blog is SO cute! Can't wait to follow along! Rascal Flatts are so great in concert. Have fun! 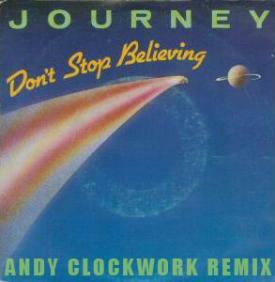 And I can't believe I didn't think of Don't Stop Believing for mine. It's my go-to karaoke song. I love Walking in Memphis. My sister thinks I'm crazy for it and always makes fun of me, so whenever I hear it on the radio I call her and just hold the phone up to the speaker. She doesn't know what she's missing!